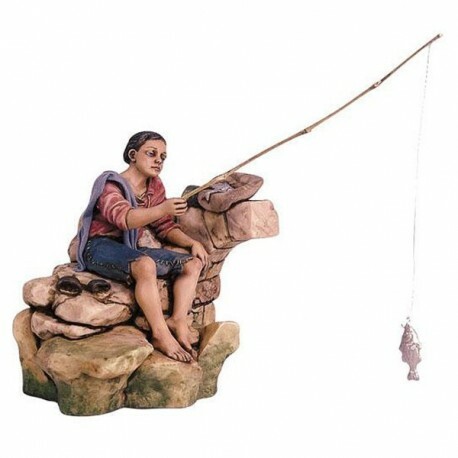 Moving fisherman of 20 cm for the nativity scene. Moving fisherman of 20 cm for the nativity scene of resin, hand-painted in Italy. Cm. 20x15x17. 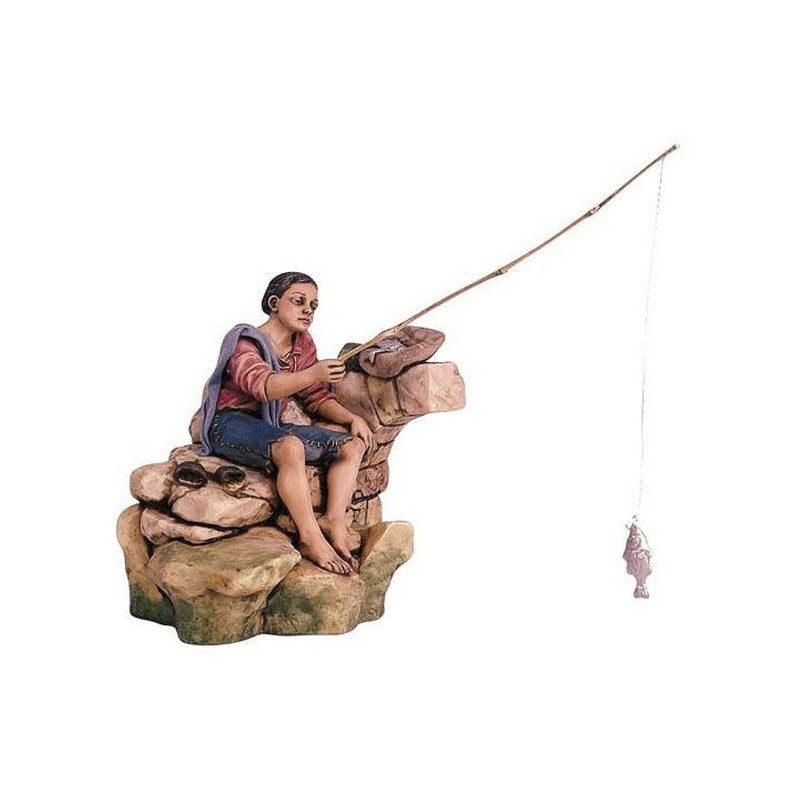 He throws the fishing rod and he catches a fish.